The force is still on the road, afraid of a sigh? Private placements are busy with roadshows and products. There are 1,120 in March! [The new force is still on the road, why are you afraid of it? Private placements are busy with roadshows and products. There are 1,120 in March! 】 Recently, many private placements have launched non-stop roadshows for the issuance of private equity products. 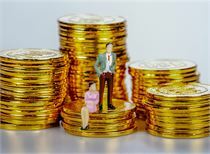 From the perspective of the issuance, Hanzhong Linyuan Investment, a subsidiary of the “Folk Private Land” Linyuan, filed a private equity product for Hanzhong Linyuan Investment on March 4; In March, Shennong Investment recorded three private equity products including Shennong AI Yuanhequan quantitative hedge. In June, Shiyan Capital recorded six private equity products including the fourth phase of the bedrock Oriental Value No. 13; the snowball investment was filed in March for the snowball wins No. 1. This year, the A-share market has rebounded significantly. In the first quarter, all major stock indexes rose by more than 20%. Stock strategy private placementfundIn the first quarter, the yield reached 18.47%, and 94% of private equity products received positive returns, the best quarterly performance in the last three years. Volcano Jun noted that private placement sales began to pick up in late March. 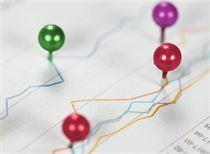 Private placement network data shows recent private placementsFund issuanceVolume starts to enlarge, new private placement in MarchStock investmentThe fund has 1,120, creating a new high in the past year. A large private equity person told Volcano that the company's recent product distribution is obviously much easier, and there are also channels such as banks to contact product distribution. 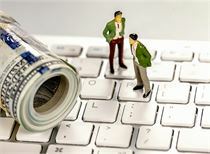 After the Spring Festival this year, the confidence of A-share investors and the market's profit-making effect soared. In the first quarter, all major stock indexes rose by more than 20%. Specifically, the Shenzhen Component Index led the gains of 36.84%, the small and medium board index andGEMThe numbers are ranked second and third with 35.66% and 35.43% respectively. In this context, the eight private equity strategies all have positive returns, of which the stock strategy ranked first with a yield of 18.45%, and 94.44% of the stock strategy products achieved a positive rate of return, setting a new high in the past three years. 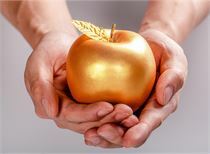 According to the industry released by the private placement network on April 12research reportIt shows that in 2019, the number of private equity fund issuance has begun to increase. In March, the number of newly issued private equity investment funds was 1,120, a record high in the past year. The number of newly issued private equity investment funds in January and February was 765 and 487 respectively. The number of liquidation has gradually declined due to the recovery of the market and the significant increase in the market's profit-making effect. The number of liquidation in the first three months of 2019 was 256, 104 and 78 respectively. Recently, many private placements have been running non-stop roadshows for the issuance of private equity products. 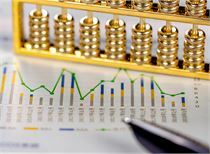 From the issue of the issue, Hanzhong Linyuan Investment, a subsidiary of the “People's Shares” Linyuan, filed a private equity product for Hanzhong Linyuan Investment on March 4; Shennong In March, the investment recorded three private equity products including Shennong AI Yuanhequan quantitative hedge. In June, Shiyan Capital recorded six private equity products including the fourth phase of the bedrock Oriental Value No. 13; the snowball investment was filed in March for the snowball wins No. 1. What caused the volcano to pay special attention is that on March 13, Wang Yawei filed a foreign trade trust-Longxin No. 3 securities investment collective fund trust plan, and the product was established on February 28. In addition, Wangzheng Assets also issued two private equity products including Wangzheng Elite-Penghui No.1 in Phase 9 in March; and that Bin Bin recently filed the No. 12 Dongfang Harbor Wangyuan; Chongyang Investment has filed Chongyang Jinxiang No. 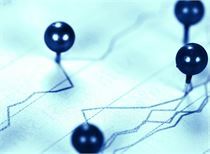 6 private equity investment fund; private equity Xingao Dahe Investment ranked its private equity product number to No. 24, and filed Dahe Investment - Nuggets No. 24 on April 2. Private placements this year are still less than last year. The sales of private equity products are inseparable from the channel. For the recent emergence of private placements, the director of a large private equity market in Beijing told Volkswagen that “this year the company’s new product launch is much stronger than the second half of last year. We generally do not release products on our own, and we are cooperating with channels such as banks to issue new products. As the A-share market picks up, the enthusiasm of banks and other channels has risen. Since the end of March, most banks have started. Big private placement of this business." A tens of billions of private equity investors in Beijing told Volcano that compared with the fourth quarter of last year, the willingness to promote new products in the first quarter of this year was significantly enhanced, and the number of products issued increased significantly, about twice as much as in the fourth quarter of last year. However, compared with the same period of the first quarter of 2018, it is still relatively small. 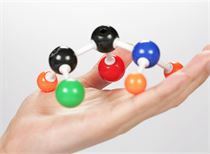 It may be due to better market conditions in 2017, so the new product release in the first quarter of 2018 is relatively smooth. At present, the willingness of channels to promote the issuance of equity products has not yet reached the highest point. The overall positive and cautious attitude, especially in the old channels that have already cooperated, due to the overall decline in the market last year, channels and investors are still worried about the market trend. In line with the early characteristics of the bull market. After the market is further fermented, entering the bull market outbreak, the release of new products may also usher in an outbreak. Liu Youhua, a researcher at the private placement network, told Volcano that the number of products issued has seen a significant increase in the chain. The reason for this phenomenon is that the market has seen a sharp recovery in the first quarter. Whether the private equity managers are in need of scale development or the investment needs of investors, fundraising has become easier than last year. In turn, many private equity managers seized the opportunity. Compared with last year, the product issuance structure is still dominated by the stock long-term strategy, and the overall change is small. The financial data in March significantly exceeded market expectations. Affected by this, the three major stock indexes of A-shares opened higher today, but then went lower, and fell to the full line at the close.Shanghai indexThe 3200-point integer mark was lost. What is the view of the institution for the late market trend? Tibet Linyi invested in Wang Lin to tell the volcano, the Shanghai stock index has risen from 2440 points to around 3288 points, the increase is not small, the small and medium-sized index is still bigger. Last week, the stock index slightly adjusted the Yinxian line. The probability of the stock index finishing or short-term adjustment in the next two weeks is relatively high, and the medium-and long-term upward trend will continue. With the disclosure of the annual report and the quarterly report in April, it is very likelyPerformanceThere will be certain opportunities for stocks and sectors with good growth and good industry, such as textile and apparel, pharmaceuticals, chemical industry, and the steel sector of cyclical stocks. Yitian Investment Ye Fei said that today's broader market showed a trend of volatility and frustration after opening higher. 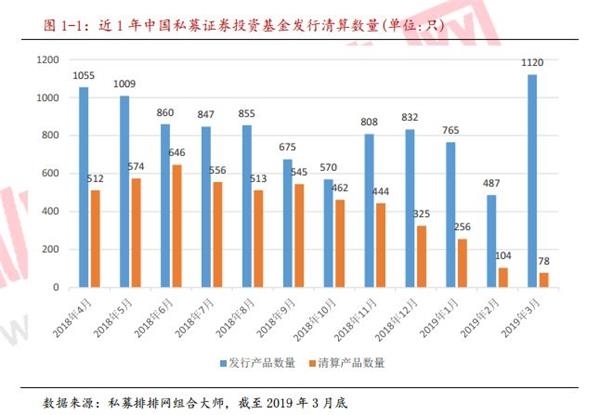 From the news point of view, the social welfare data and export data in March exceeded expectations significantly, and the index opened higher by more than 1%, driving banks and insurance in blue chip stocks. The rise, followed by the decline of the ChiNext, the market stagflation was obvious. From a technical point of view, the Shanghai Composite Index has re-confirmed the demand of 3,200 points in the short-term due to the fall in the market. After the end of the washing, the market is expected to pick up again. It is expected that the Shanghai index will be in the range of 3215~3240 this week. 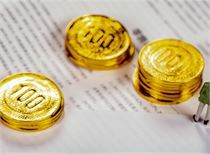 Chuan Cai Securities:The rise in the A-share market in the first quarter was due to the valuation restoration brought about by the rise in risk appetite. Looking forward to the second quarter, we believe that the credit spread is difficult to further decline. The economic and corporate profits are still facing some pressure in the second half of the second quarter. In the second half of the second quarter, the A-share market may still face certain shock adjustment risks. From the perspective of emotional indicators, individual stocks are in an extremely high position of volatility trend, overbought; the index has deviated from the annual line by more than 10%, and the oversold repair has been more adequate. For the configuration section, the main line of performance focuses on topics such as blue chip stocks and infrastructure. In addition, the growth industry is screened from the perspective of industry boom, and it is recommended to focus on sub-industries such as software, cloud computing, and military.